NCCID is one of six National Collaborating Centres established by the Government of Canada and funded through the Public Health Agency of Canada to promote and support evidence-informed public health. The Centres are hosted regionally, and aim to improve the effectiveness of public health programs and policies. Together, the centres in the National Collaborating Centres for Public Health program work to increase the usefulness and accessibility of knowledge relevant to public health practices by developing and strengthening local, regional, national, and international networks. Our work focuses on knowledge translation for Public Health. Each Centre focuses on a different priority area within public health. The NCCs were created in response to the severe acute respiratory syndrome (SARS) crisis in 2003, and were developed to bridge the gap between knowledge and action. The national collective program draws on the expertise, perspectives and resources of individual Centres to help get knowledge into practice and policy, and is guided by a National Advisory Council of public health experts, who regularly review and assess NCC priorities. NCC for Aboriginal Health (NCCAH), University of Northern British Columbia, Prince George, British Columbia, supports a renewed public health system in Canada that is inclusive and respectful of First Nations, Inuit and Métis peoples. NCC for Determinants of Health (NCCDH), St. Francis Xavier University, Antigonish, Nova Scotia, focuses on the social and economic factors that influence the health of Canadians. NCC for Environmental Health (NCCEH), British Columbia Centre for Disease Control, Vancouver, British Columbia, focuses on health risks associated with the physical environment and identifies evidence-based interventions to reduce those risks. NCC for Healthy Public Policy (NCCHPP), Institut national de sante publique du Quebec (INSPQ), Montreal, Quebec, focuses on increasing the expertise of public health actors across Canada in healthy public policy through the development, sharing and use of knowledge.  NCC for Infectious Diseases (NCCID), University of Manitoba, Winnipeg, Manitoba, focuses on protecting the health of Canadians by facilitating the use of evidence and emerging research on infectious diseases to inform public health programs and policy. NCC for Methods and Tools (NCCMT), McMaster University, Hamilton, Ontario, provides leadership and expertise in sharing what works in public health, and enhance practice and policy in Canada by helping decision makers find and use innovative, high quality, up-to-date methods and tools that support moving research evidence into practice. The Centres have collectively hosted several Summer Institutes. These learning and networking events brought together practitioners, policy makers, researchers and students. Renowned speakers offered plenary and workshop sessions on various subjects including: public health ethics, evaluation of knowledge translation; health equity; outreach programs; methods and tools for evidence-informed decision making; First Nations, Inuit, and Métis health; and health impact assessment. The NCCPH continues to strengthen public health in Canada by creating and embracing opportunities to learn from each other and to work in collaboration with a wide variety of regional, national and international experts, organizations, and public health networks.